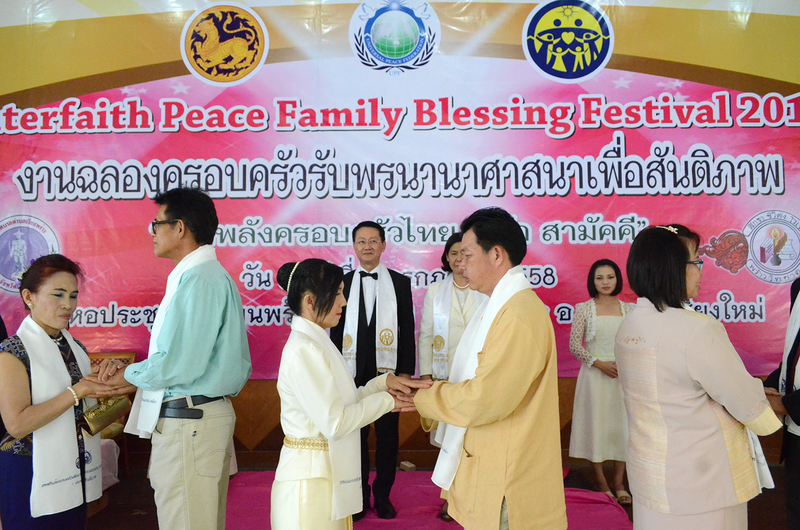 FFWPU Thailand, July 4, 2015: Mr. Sutin Sriboonplaeng & Mrs.Nana Fukuda, Thai-Japanese Blessed Families who are Chiangmai CARP center leader determine to fulfill mission of Tribal Messiah at Phrao district in mountainous area of Chiangmai province. 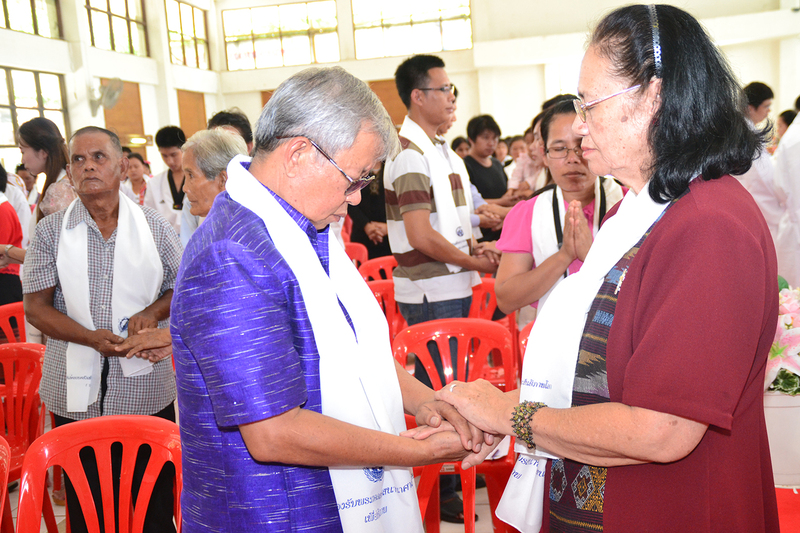 Mr.Sutin received a lot of support from Mr.Pittaya Srisuwan who is Master of Tong il moo do and all kind of martial arts at International Martial Academy. 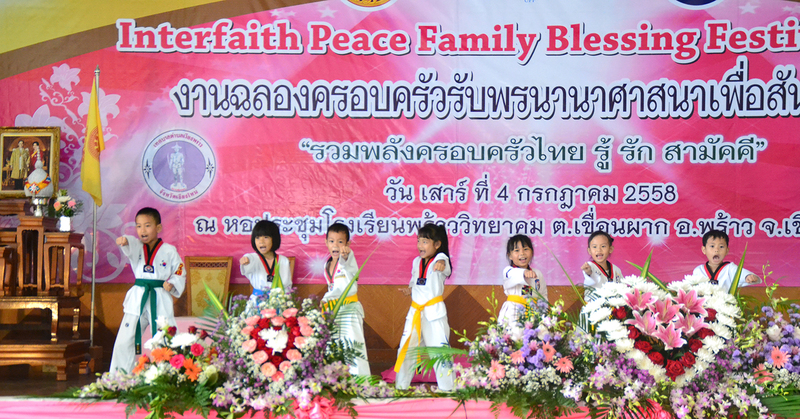 Internal Martial Art Academy which was initiated by Dr.Joon Ho Suek, International Chairman of Tong-il Moo Do international is located in this district. 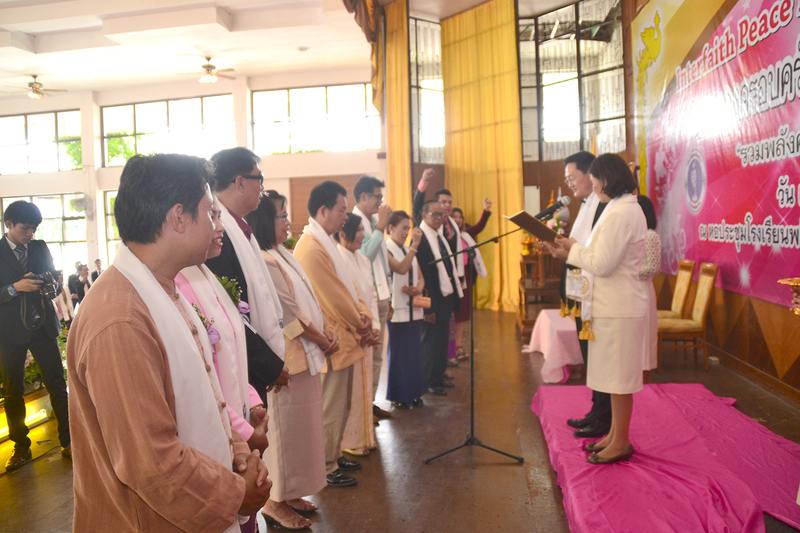 Sutin and Pittaya had invested a lot to develop Tong-il Moo Do providence in Thailand as well as to fulfill the mission of Tribal Messiah in this area. 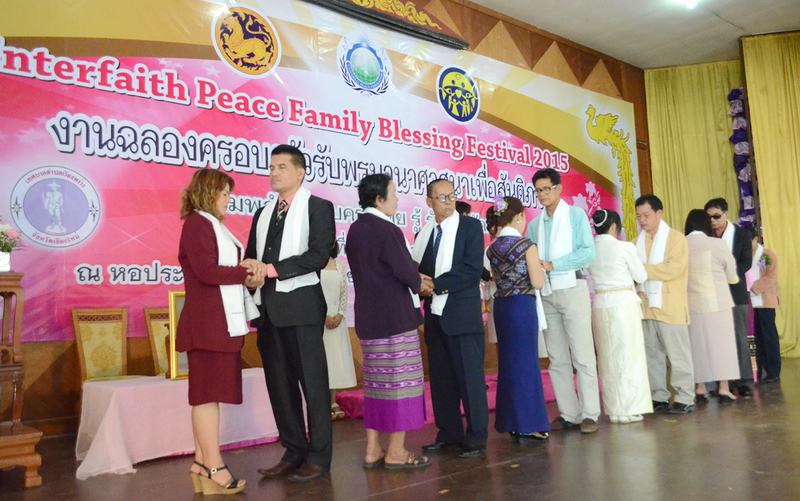 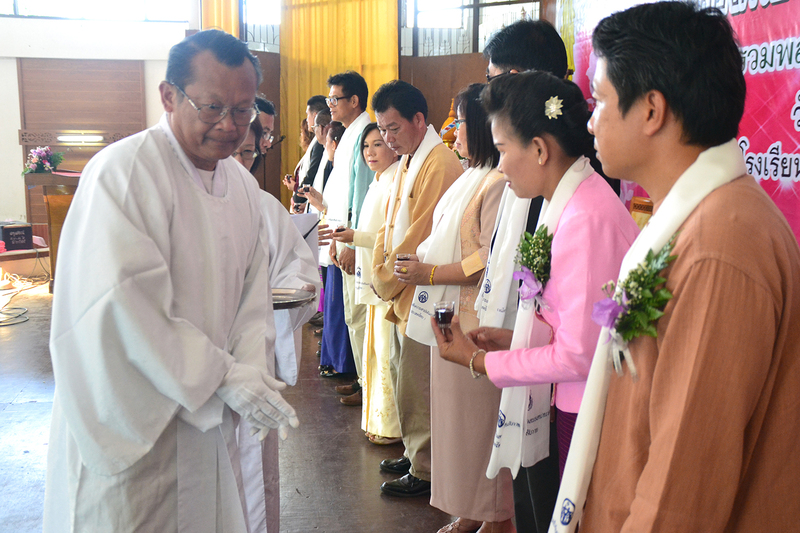 On July 4th 2015, Interfaith Peace Blessing Festival were held in Auditorim of Phrao Pittayakom School, there were 88 families join with the support of Chief of District and local government. 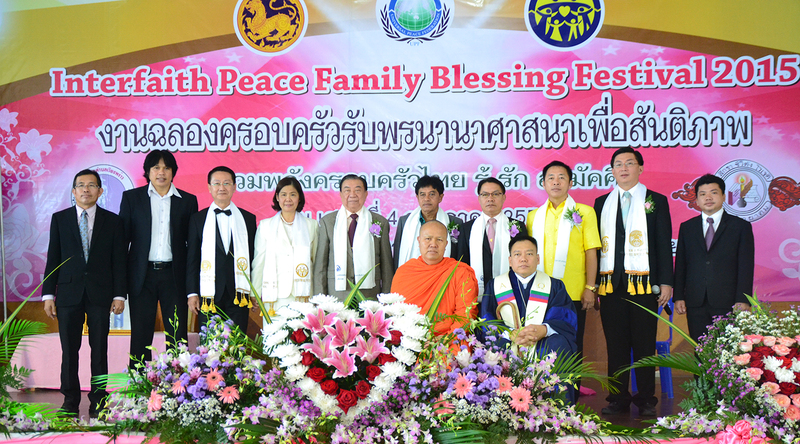 Sutin, Pittaya & CARP Chiangmai will continue to invest to build Ideal Family Community in Phrao district by educating, follow up and care to raise up new model blessed families and holding Interfaith Peace Blessing Festival again in near future.